As the weather had been forecast freezing temps and the chance of snow, we decided a land based session may be the better option. 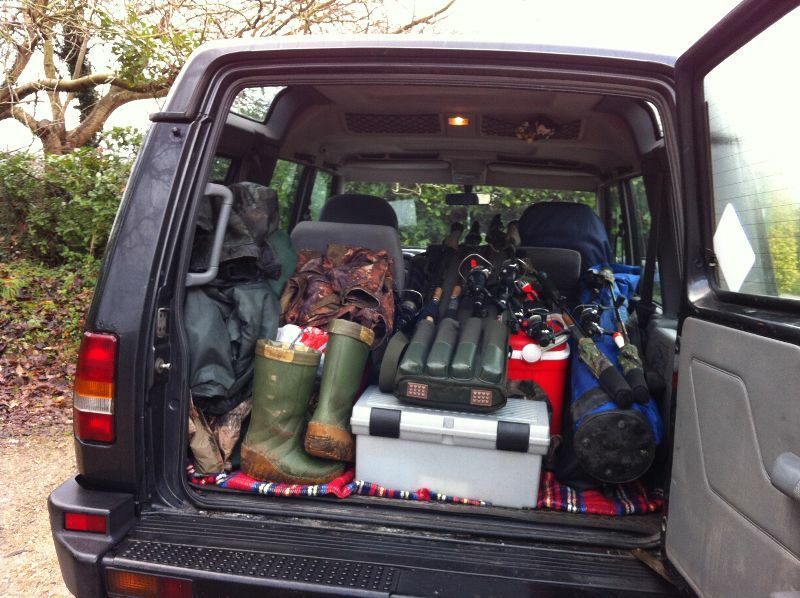 Neil and Dean were joining me today so it seemed to take an age to load the car with everything except the kitchen sink. I collected Dean around 6am and then Neil half an hour later and set off to our chosen venue, Gunton Lake. After a Thirty minute drive on fairly icy roads we arrived to find the gates locked. A quick re think and we was on our way across country to the Wroxham area where we would have several choices all fairly close to each other. We looked in at Barton Turf and the Staithe was empty and looked ice free so we all agree to give it a try. We were soon set up at around 8am and within 10 minutes Neil has had some interest in his ledgered Smelt. As the line snakes off he hits the rod but misses the fish, coming back with only a slightly marked bait. He repositions it back into the same spot and had another run within 10 mins which resulted in a lovely 8lb Fish. After unhooking and returning the fish, he re used the Smelt yet again and only has to wait another 10 minutes for his next run. This fish put up a decent scrap but was soon netted and after sorting out the mess of landing net, trace and fish, resulted in a new Pb for Neil at exactly 13lbs. No sooner had this fish been returned, he then has a run on his float fished sardine. This turns out to be a small Jack of about 4lbs. All this activity has been in 45 minute period. Deans 2 rods and my ledgered Lamprey have remained untouched. Ive also been trying with a float rod, looking for a Live bait. Although there are a few fish "Topping" in the basin, i cant get a bite. At around 9:15 Deans bottom bait is picked up but the run stops almost instantly. The bait is checked and re cast. Its a good hour with no other interest on any of the rods, so i decide to have a walk round the other side of the basin to have a look at the swims. I leave Dean watching my rod and im just about as far away as i can get when the two way radio tells me that my Lamprey has been taken and Dean is into a fish. I get back just in time to help land and unhook another decent Pike. Again this fish spins and twists once landed and takes some sorting out the net ending up in a ball. These fish seem to have more energy on the bank than in the water ! The fish is safely unhooked and weighed. This is another new Pb for dean this time, the fish going 12lbs, on MY rod !!! 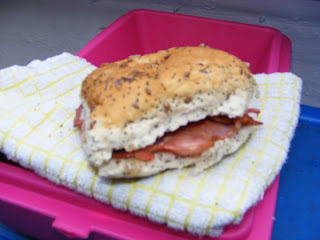 With all the rods checked and re positioned, i get started on the days lunch, good old Bacon rolls. Just as the smell of the bacon starts drifting down the bank we get a few flakes of snow, so the brolly goes up over the cooker and i get the kettle on too. Is it just me or does Bacon taste so much better cooked outside on a cold day ? We fish on for another hour and a half but nothing materialises so we decide to start packing up before the next snow starts. Although ive gone "Fishless" today ive enjoyed the new venue and being on dry land for a change. Im also pleased for both Neil and Dean as they are fairly new to this sort of fishing, both breaking their Pbs in consecutive weeks. We start to load the "Disco" with all our stuff and seem to have more gear and less room than when we started ! 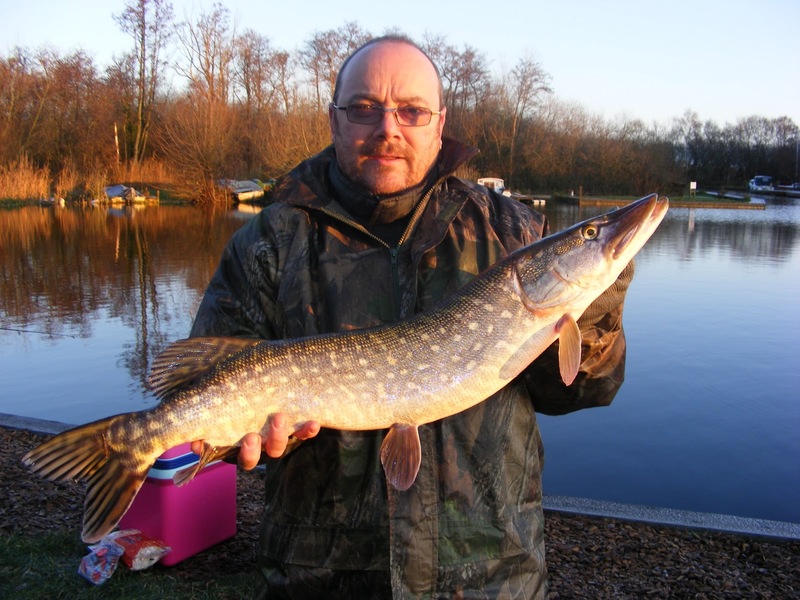 I´m David and i like too the pike´s fly fishing. Good Site and photos.